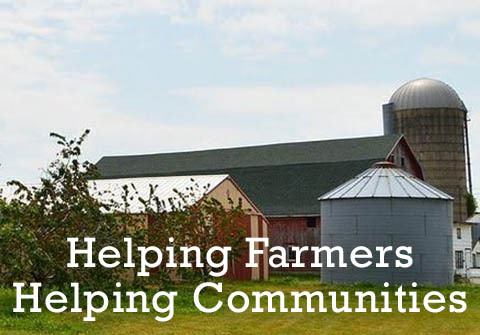 Over the past three decades, groups have come together throughout the nation to respond to the issues of sustaining agriculture and local communities. Primary national networks include the Community Food Security Coalition and the National Campaign for Sustainable Agriculture.â€¨ Below, you will find a list of key organizations in Washington State. Although there are many organizations that have programs relevant for our region, we've chosen to focus on those with offices in Washington as a starting point. Each of the groups above is part of a dynamic web of programs and projects. We've organized them by categories as a starting point in "mapping" the network. Our hope for the future lies in the children. According to cultural historian Thomas Berry, however, our future is in grave danger because children "experience a world circumscribed by so much human-made material they are deprived of any normal relationship with the earth." The National Gardening Association sponsors KidsGardening.com, which provides excellent resources for parents and teachers interested in children's gardens. Below is a sampling of the organizations in Washington State working to help children re-connect with the earth.